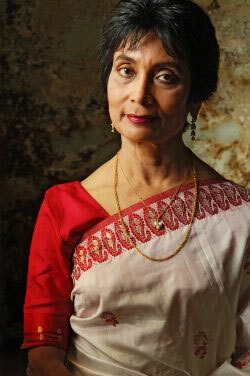 Dubbed the "Songbird" (Spring Flowers Celebration, Campbelltown Arts Centre, Sydney), award Winner and EMI recording Artist, Akhter Jahan is the foremost female exponent in Australia of the entrancing music traditions of Bengal. This is music as timeless, deep and refreshing as the Ganges. Drawing from the richly crafted classic ballads of Bengali Cultural Icons, and from earthy folklore about life in Bangladesh and West Bengal, this enticing music is rich in rhythm and melody and soaked in the moods of the universe. Drawing from both folk and classical Indian sources, Akhter takes you through a mystical musical journey ranging from gently meditative to spontaneously energetic. Akhter trained with distinctions at Matric and undergraduate levels in North Indian Classical Music. Since migrating to Australia, she has performed at several Community Events and Multicultural Festivals. With an amazing vocal span over 3 octaves, Akhter's soulful voice ranges from soft and husky to a clear and crisp soprano. Using the delicious array of marvelous trills, lilts and subtle embellishments of individual notes, her hauntingly intimate voice soars, soothes and conveys an astounding array of emotions, ranging from sheer bliss through to complete heartbreak. 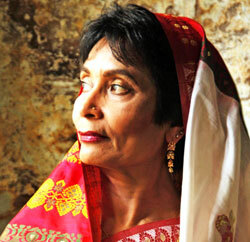 Akhter manages her music Ensemble, "Shoor Jahan" (Bengali/Arabic for Music of the Universe. Whilst some of the original members have moved interstate, Akhter draws upon some of the top musicians nationwide when recording and performing. They are: Keith Preston (Bouzouki, Santoor), Sylvan (Schmo) Elhay (Flute, Saxophone), Tarlochan (Bobby) Singh (Tabla), Dhiraj Shrestha (Tabla), Quentin Eyers (Guitar: classical, 12 strings, Spanish; fretless Bass, Piano, Dulcimer, Dotara, Esraj, to name a few! ), Adnaan Barakaky (Oud). Akhter's twin-CD album (19 tracks), "Mystical Melodies" was released at the WOMADelaide, 05.The album, "Longing", was released in July, 2010. Akhter received Australia Council and Arts SA grants for recording of original interpretations of traditional Bangladeshi music in 2006.